Children love to enjoy their lesson if it is conducted practically. The part where students are taken out from their regular classroom for some activity is the most enjoyable time for them. This allows the students to enjoy their lessons and the teachers to believe that the students could understand the lesson more comprehensively which is conducted practically. 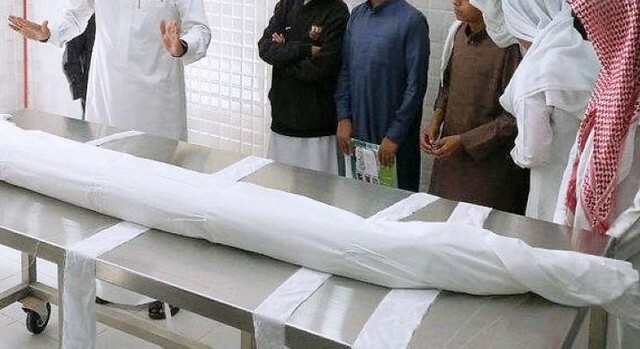 In Taif, Saudi Arabia, a teacher of Islamic studies who is also a nominee for excellence in Teaching Award, conducted his class at a local Morgue to conduct a practice of their lesson. The teacher just wanted to teach his class about the preparation of burial of a body. The students were asked to involve in the process of washing and clothing a corpse. This incident was reported in the newspaper with the photograph that was arranged by the teacher himself. The news widely spread in the country making headlines everywhere. The news angered many and they demanded Al Taif’s Education Authority to launch an investigation into the incident. Awad Al Khadidi, the authority official spokesman said that Saudi Arabia’s Ministry of education asked the local authority to look into this matter after which Al Taif’s Education Authority manager Talal Al Luhaibi has ordered a committee to launch an investigation in this matter. 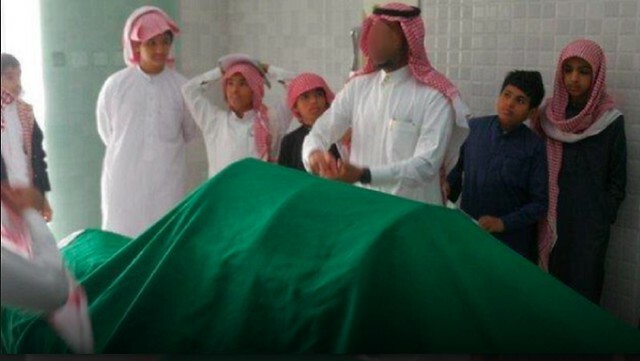 The ministry admitted that the lesson about washing the dead and preparing them, for burial was a part of the curriculum but they have launched an investigation against the teacher for taking the students at the morgue because they were too young to witness all this. Some people were shocked to hear the news for an investigation into this matter as for them it was not a big issue. But not everyone felt comfortable with the news. Some said that it is very hard for pupils to witness this. They said taking students to a morgue is a painful situation. Besides all the outrage most of the pupils’ parents don’t seem angry with the practical class given at a morgue and defended the teacher that it was a practical application of the theory and by conducting this, the child can learn easily. They said that the teacher did nothing wrong but was practically demonstrating a lesson that was in the school curriculum. While some of the parents said that the students were too young to witness the washing of the dead.